As two-time Green Party presidential candidate Jill Stein pursues vote recounts in the states of Pennsylvania, Michigan, and Wisconsin, she's made it clear that the purpose of the recounts is not to try to change the results of the election, but to ensure accuracy in the voting systems used. However, as the process gets underway, some can't help but wonder if it could flip the results. 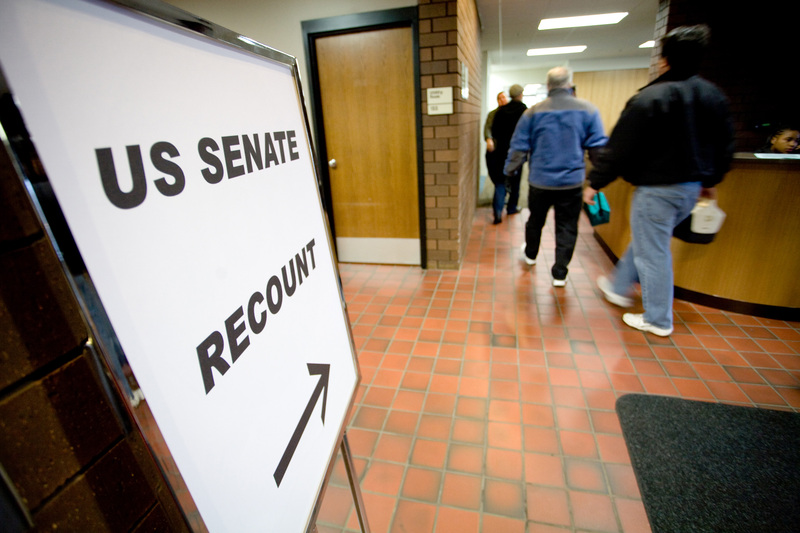 Has a vote recount ever changed election results? Yes, but it's rare, and the historical precedents don't bode well for this election. But it's not unheard of for a recount to change results; it's just rare. It's happened in three of the 27 recounts that have been conducted in general elections since 2000, FiveThirtyEight reported. Washington's 2004 gubernatorial race winner Christine Gregoire, 2006 Vermont auditor winner Thomas M. Salmon, and Minnesota Senate winner Al Franken in 2008 all have recounts to thank for their victories. But Clinton's loss margins are a lot bigger than those were. Even if Michigan, where the split was smallest, flipped to her, she'd be 22 electoral votes shy of an Electoral College victory. The only way we could expect results to change substantially enough for a Clinton win would be if evidence of manipulation, such as hacking, or error, such as voting machine malfunction, were discovered. Clinton's general counsel, Marc Elias, wrote that their campaign has led a thorough investigation, and has not uncovered any evidence to suggest either was in play. Yes, election results have flipped due to recounts, but in situations where initial counts were quite a bit closer than any of Clinton's loss margins. Barring any anomalous circumstances, we can expect for Donald Trump to remain president-elect following the recounts.